Pursuit Exotic Concert CE Koa-Koa Acoustic-Electric Guitar Gloss Natural. 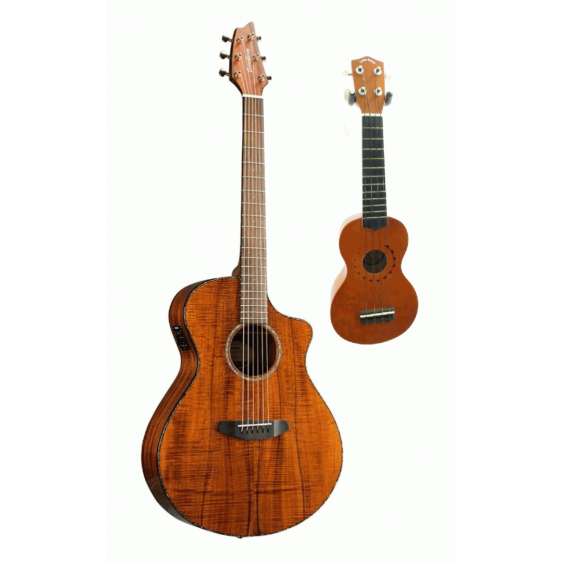 "For musicians seeking amazing power with a clear and sweet tone, both acoustically and plugged in, the Pursuit Exotic Concert Koa - Koa is a true reflection of BreedloveaTMs Distinctively Crafted Sound. 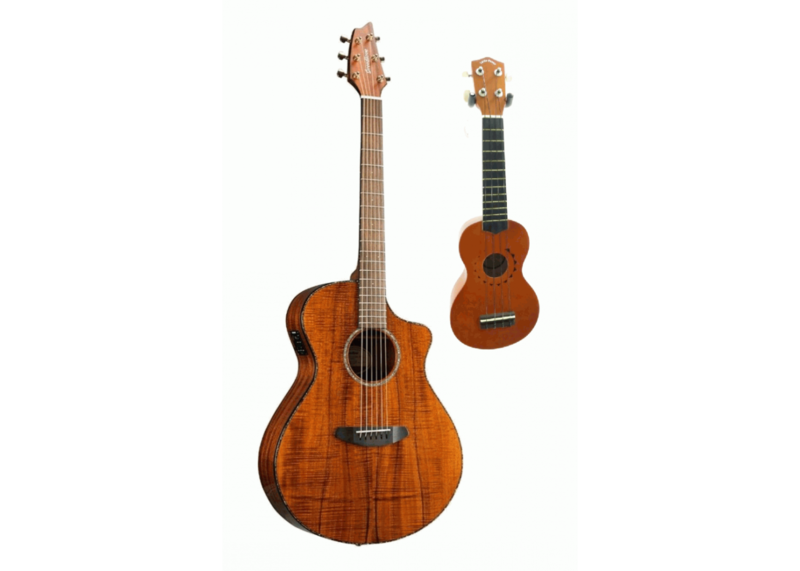 Its solid koa top and koa back and sides aoeopen upa the more the instrument is played, expanding the midrange, for an even richer, sweeter tone over time. The stunning beauty of the figured koa make the Pursuit Exotic Concert Koa - Koa a work of art as well as an extraordinary musical instrument. Lower Bout Width : 15.37"
Upper Bout Width : 11.28"